Just in time for back-to-school time, eco-kids has a brand new, hyper cool eco-crayon set that will get your child excited about coloring. 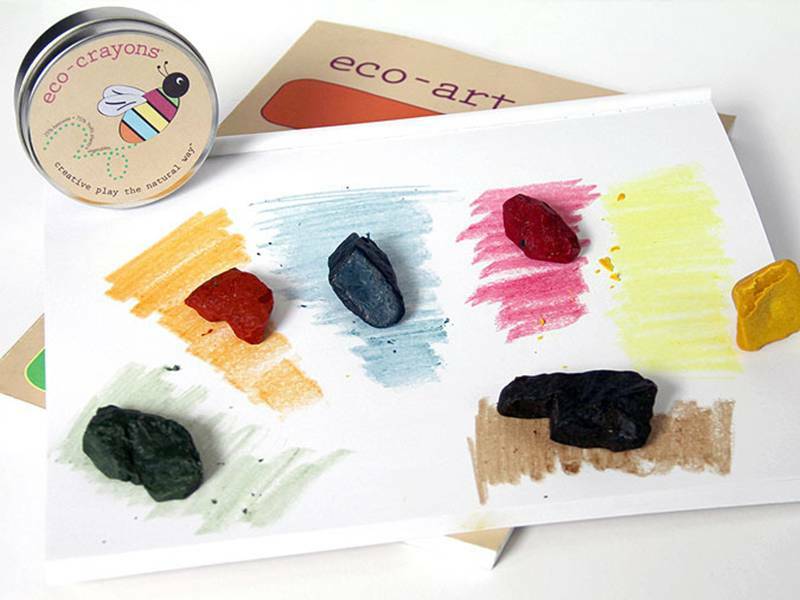 Made safe and non-toxic, like all eco-kids’ products, these crayons are handmade with natural and organic fruit, plant and vegetable extracts from annatto seed, beets, carrots, curcumin, purple sweet potato, red cabbage and spinach, soy, bee and palm wax. Plus, each crayon is nice and chunky, i.e. perfect for little hands to easily grasp. Six different colors are included in a cute reusable container. These are so cute, a friend introduced them to me! I think I need some for my 4 kids stocking this year!